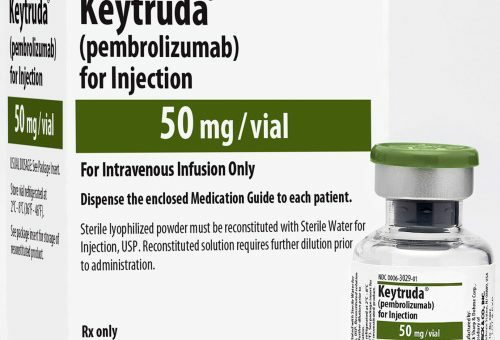 South Korea’s Celltrion has started work on a biosimilar version of pembrolizumab, Merck & Co’s blockbuster immunotherapy Keytruda. The PD-1 checkpoint inhibitor cancer treatment is fast becoming the backbone of treatment across multiple tumour types, and earned $3.8 billion for Merck in 2017. Analysts forecast the drug could reach peak annual sales in excess of $7 billion by the time its patent expires in June 2028 – and biosimilar company Celltrion says it is ahead of its rivals in starting the groundwork a full 10 years before it can launch its copy of the drug. Such is the complexity of creating biosimilars – sometimes compared to ‘baking a cake without the recipe’ – means this long lead time isn’t excessive. As one of the global pioneers of biosimilars, Celltrion has grown rapidly in recent years thanks to its success of its first two marketed products, Remsima (infliximab) and Truxima (rituximab). The company’s head of the strategy and operations HoUng Kim was in London this week to highlight the company’s pipeline, which it says is bigger and better than any of its rivals, such as Novartis’ Sandoz division or fellow South Korean company Samsung Bioepsis. While the pembrolizumab copy was eye-catching, the firm’s next big biosimilar launch in Europe is a version of Roche’s Herceptin (trastuzumab). 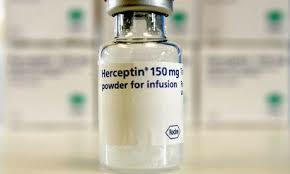 Biosimilar companies are poised to launch cheaper biosimilar versions of Herceptin in Europe later this year, a product which generated $2.26 billion in revenues last year. In pole position is South Korea’s Samsung Bioepsis, which in November gained EU approval for its trastuzumab biosimilar, to be known under the brand name of Ontruzant and to be commercialised by MSD. However Celltrion is hot on its heels with its product Herzuma, which gained EU approval today. Mr Kim said European payers have waited until both drugs are on the market before launching tenders, in order to drive a hard bargain on the price. Roche has had time to defend Herceptin against biosimilars, however. A patent-protected subcutaneous formulation of the drug was launched some years ago, and now represents 50% or more of the market. The biosimilar firms won’t be able to challenge the great convenience of the subcutaneous Herceptin, as they will be launching intravenous-only biosimilars. That means the biosimilar competitors will be chasing an IV market which represents a relatively small part of Herceptin sales in Europe, certainly less than $1 billion in total. Mr Kim told reporters that Celltrion would have the edge over its rival Samsung Bioepsis because of a superior data package, including stability data, as well as compelling overall value offering. He said he expects Celltrion’s trastuzumab will be up to 50% cheaper than Roche’s subcutaneous (SC) Herceptin. However this still won’t be enough to persuade healthcare systems or patients to go back to the intravenous drug, which takes double the amount of time in hospital compared to the SC version. In the UK, intravenous trastuzumab is used mainly as part of the combination with Perjeta and chemotherapy in breast cancer, and in metastatic gastric cancer. 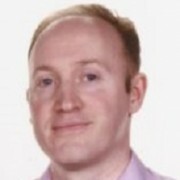 It will be in these indications where the biosimilar firms could rapidly replace Herceptin – however Roche is understood to have already slashed its UK price in order to maintain its market share. Similar moves across Europe could help it stem losses to revenues, with Avastin and MabThera/Rituxan also facing biosimilar competition.